October is Breast Cancer Awareness month and the CAS-ual Fridays blog will turn pink for the entire month. Did you know that 1 in 8 women in the US will be diagnosed with breast cancer during her lifetime? Based on this fact, we want you to create a card which features 8 of something. 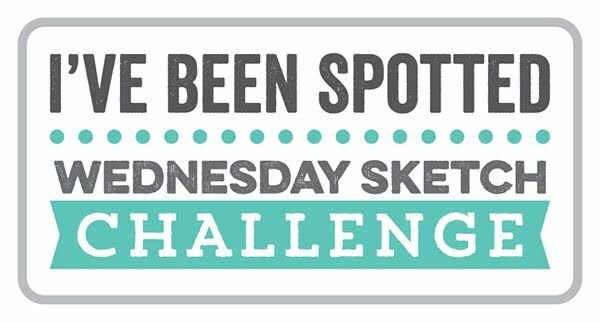 It can be 8 colours, 8 sequins, 8 patterns, 8 enamel dots...use your imagination and see where the figure 8 takes you! For my card I used stamps and dies from CAS-ual Friday's Calling All Sistahs Collection . 50% of the profits from these sets are donated to breast cancer research and awareness programmes. 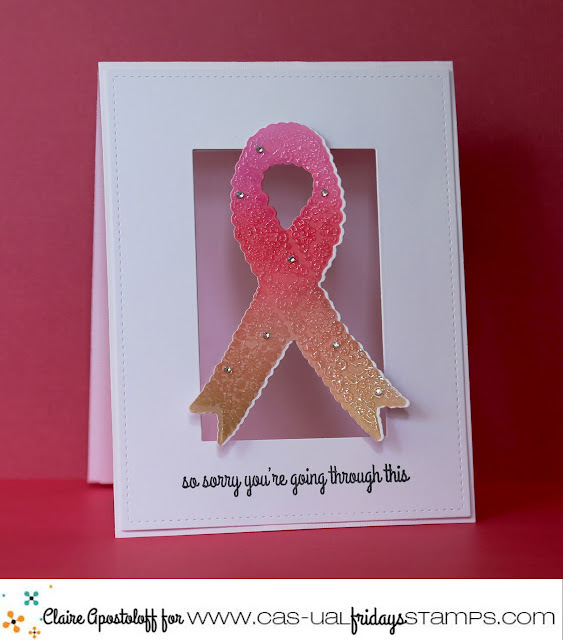 I die cut the Ruffled Ribbon and stamped and clear embossed it with the Hope Ribbon, then blended a selection of pink distress inks to colour it. My 8 elements are the tiny little crystals I've used to embellish it. For the card base I cut a rectangular panel and covered it with acetate. 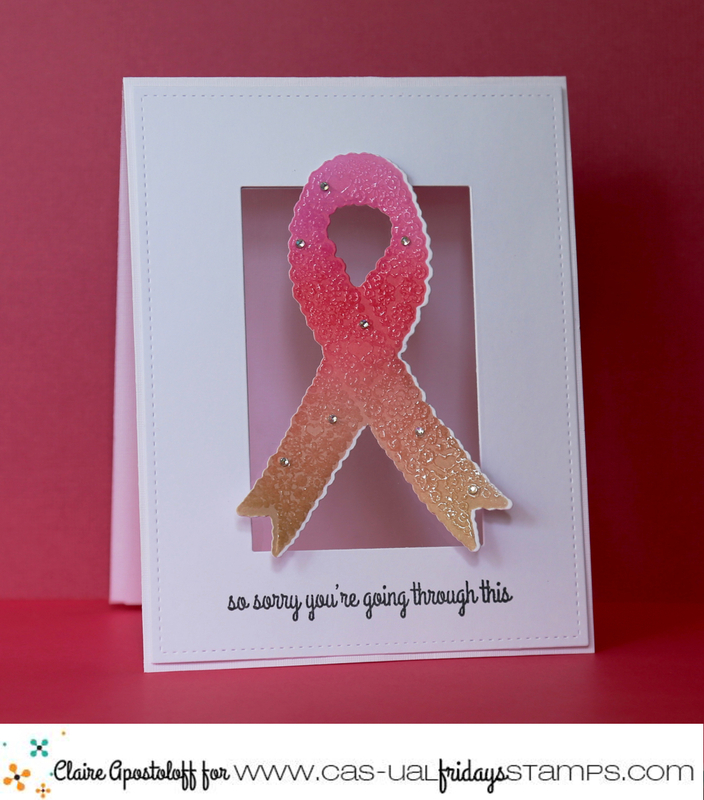 The sentiment is also from the Hope Ribbon set. 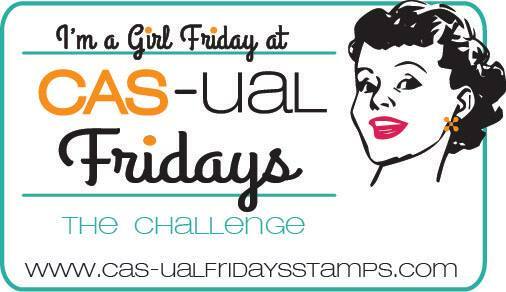 Link up your creations to the challenge and you could be in with a chance of winning a $25.00 CAS-ual Fridays store certificate. 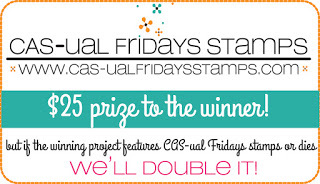 Use CAS-ual Fridays stamps or dies as the main focus and Michele will double the prize. 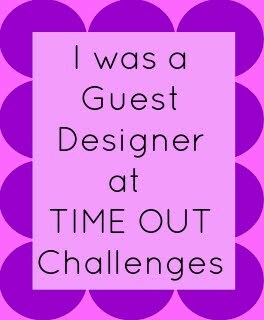 I'm also popping my card into Time Out's latest challenge which has a similar theme - the challenge is being sponsored by Michele, giving you even more chances to win some CAS-ual Fridays goodies! Oh this ribbon is so pretty! I love the ombre effect you created! Lovely card! 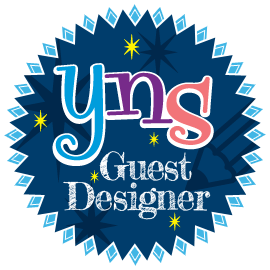 Thanks for taking the Time Out to play with us! Beautiful shading and I love how you propped it on acetate!